Do you like to create sketches? Are good in creating sketches with a mouse? You can try SketchToy. SketchToy is a free online sketch creator tool that allows users to create sketches and share your sketch creation online. The service is free and it does not need any kind of registration. Just open the website and start creating your sketches. 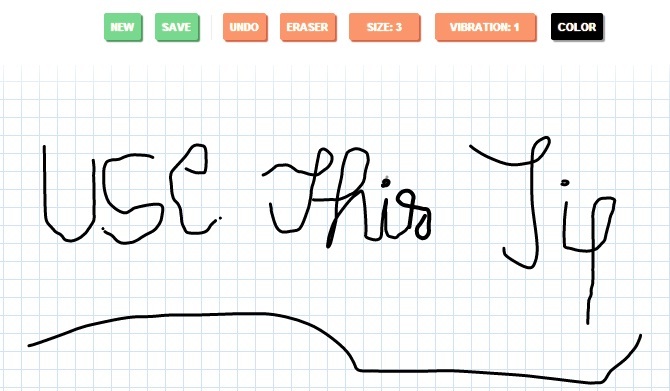 When you open the SketchToy, you will see a canvas and a tool bar at the top. Tool bar contains 8 buttons that allows you to customize the brush size and eraser size. Green buttons are for creating new sketch and saving the current sketch. You can also select color of the brush with color button. Other buttons are for Undo, Eraser, brush size and color. When you will open the above link, you will find the sketching of the snapshot added. This tool also supports keyboard shortcuts. You can use CTRL+Z for Undo and CTRL+E to toggle Eraser. Use arrow key to rotate the sketch in 3D. You can also use an image as stencil just by dragging and dropping on the canvas. Just open the web app and start creating your sketch. When you are done with animation, click on save button. Now you will see a splash window with share link. 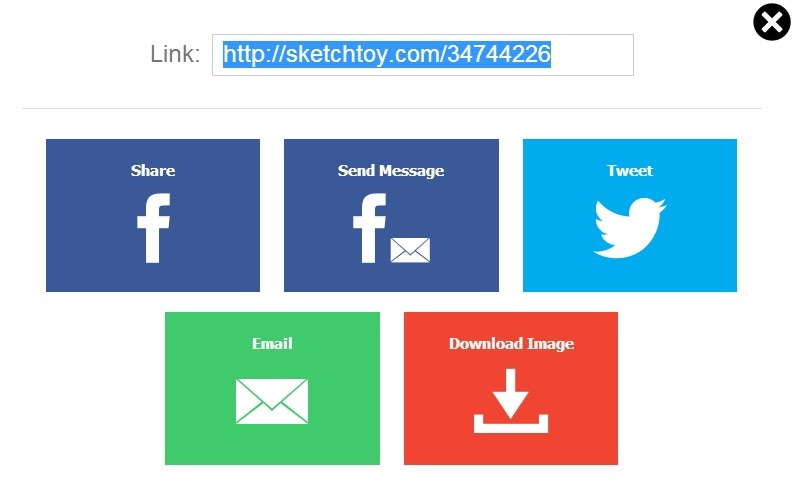 It also contains buttons to share your sketch on Facebook, Twitter or email. It also has a download button to download your sketch. SketchToy is the nice sketching tool which offers some interesting feature. Create your sketch and show them how you created the sketch. Most important thing is that it neither needs installation nor registration. Try this tool and share your views with us via comments.